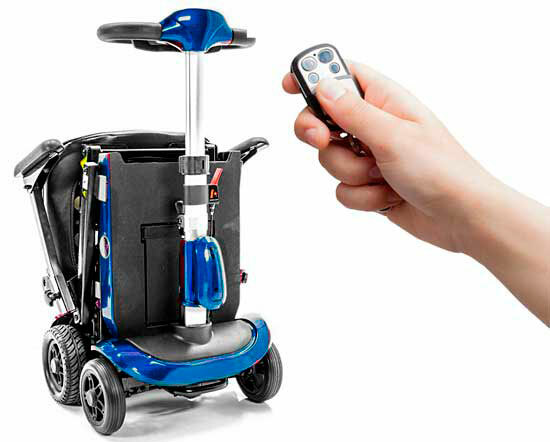 The perfect solution for your temporary reduced mobility issues: fractures, sprains, operations, fatigue, etc. 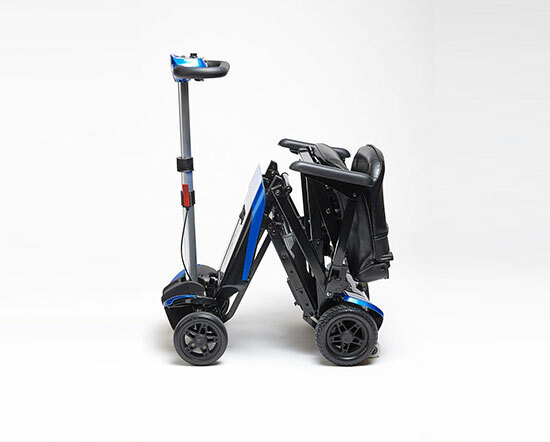 The Transformer Scooter folds and unfolds automatically with a touch of its remote control. 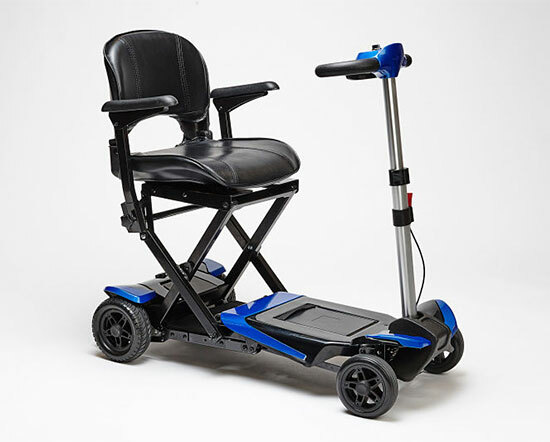 It will fit in any elevator.